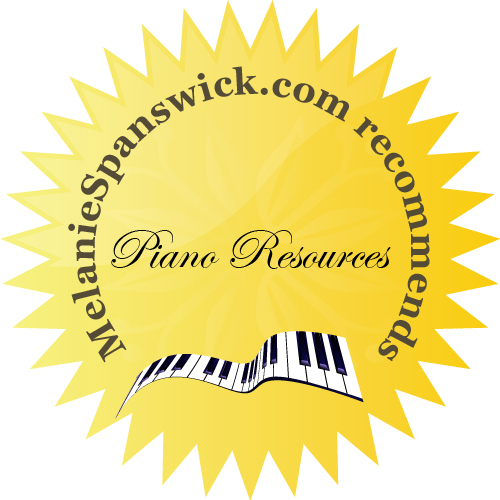 This month’s recommended resources include a mixture of piano music, text books and courses. Hopefully I’ve featured something of interest for all levels and abilities. Enjoy! Three new pieces written by American composer and teacher Dr. Julie Knerr are published by Piano Safari. Piano Safari is an increasingly popular method for beginners and these little pieces reinforce the method book teaching. They are essentially duets for pupil and teacher, providing excellent practice for students as well as the much-needed confidence playing with a teacher bestows. The primo parts are written on one stave, and they are all jolly, tuneful, upbeat pieces that pupils will enjoy. You can hear and purchase them as either a print or digital copy here. Piano teachers are always searching for ways to keep students engaged and interested. 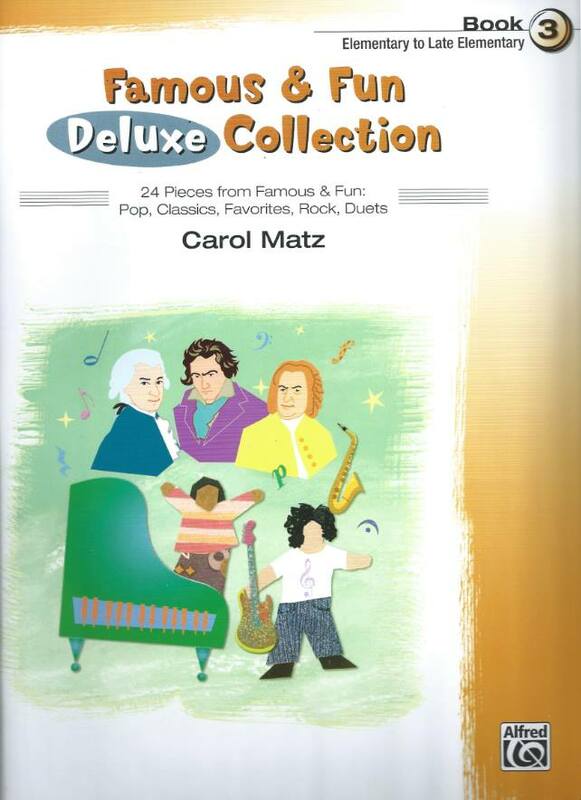 The Famous & Fun Deluxe Collections arranged by American composer and teacher Carol Matz and published by Alfred Music Publishing, helps teachers do just that, by providing arrangements of pieces which students love and are motivated to practice! Each book contains a mixture of well-loved selections drawn from the entire series. In the “Deluxe Collections,” you’ll find pieces from “Famous & Fun”: Pop, Classics, Favorites, Rock, Duets, and Pop Duets. The series ranges from Early Elementary to Intermediate. Learn more and purchase here (Amazon UK here). Last month’s recommendations included British composer Heather Hammond’s new piece, The Wheels of Time. 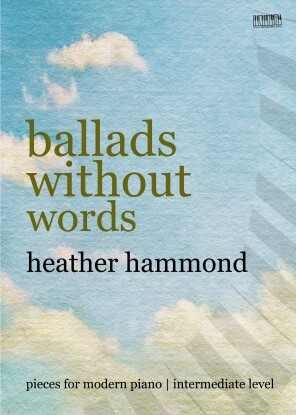 Heather has now completed her collection of eight pieces for piano (published by EVC Publications). 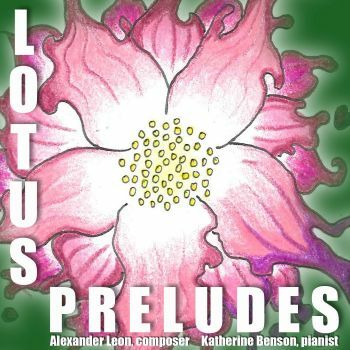 As the title suggest, these works are all lyrical, with attractive tunes and poignant melodies. They are ideal for pupils who want to play something different between exams and for those who like to explore essentially jazzy harmonies and syncopated rhythms. Around Grades 5-7 standard (Intermediate/late Intermediate). 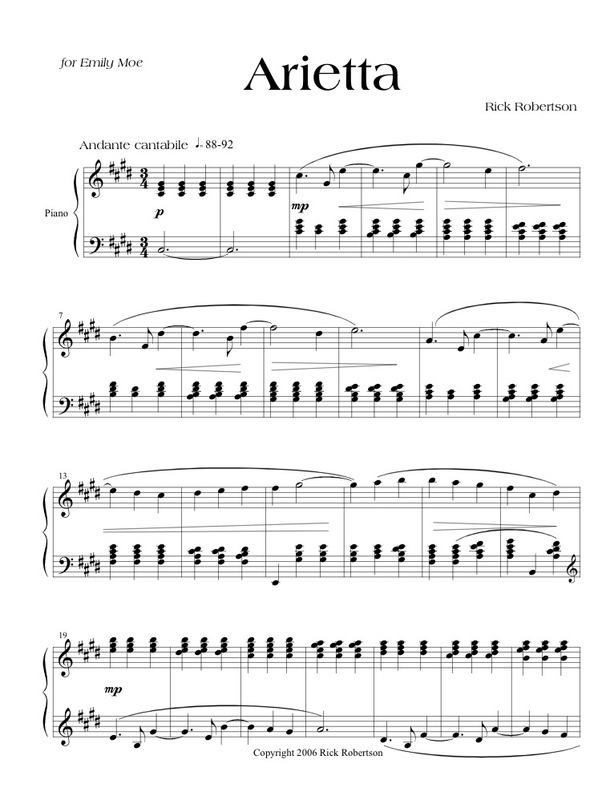 American composer and teacher Rick Robertson, has written a whole library of works for the piano. Arietta and Nuit d’etoiles are late intermediate level pieces (for Grades 5-7), and are both melodically interesting and eminently playable. Nuit d’etoiles (Starry Night) reflects impressionistic colours with ‘Ravelian’ sweeps and a dreamily expressive melody. Arietta consists of bold thematic material, which is split between the hands, and accompanied by chords, building to a resounding climax; this is a passionate, beautiful piece. 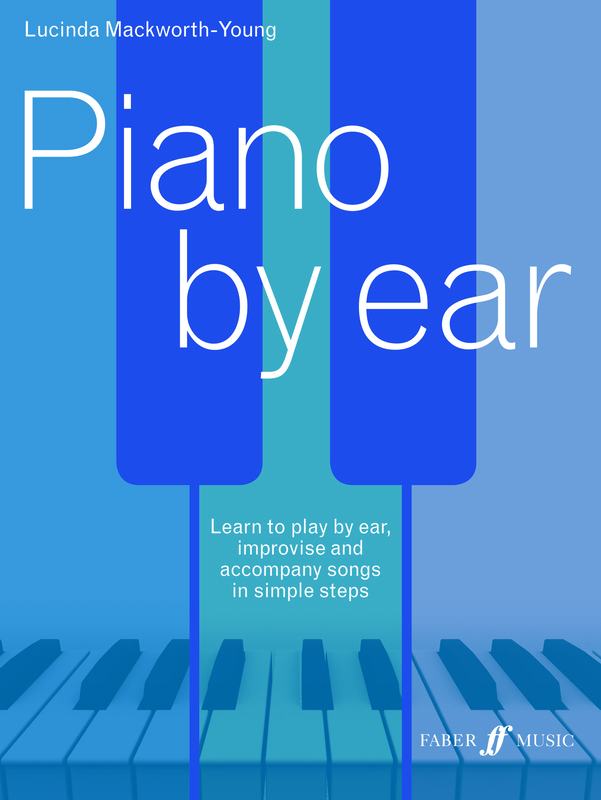 A very useful new volume, Piano By Ear is written by British teacher Lucinda Mackworth-Young and published by Faber Music. Learning to play by ear and improvise is often a colossal task for Classical pianists (particularly for students), and it still often remains a largely ignored topic in piano lessons. This may be partly due to lesson time constraints, but it’s also up to teachers to inspire and ignite interest. Lucinda carefully paves the way for success; starting with playing by ear, through to suggesting appropriate tunes, possible chords, chord structures, cadences, accompaniments, practice ideas, and various scale patterns and harmonic progressions. It’s the perfect book for those preparing for ABRSM Practical Musicianship exams (I wish I’d had this book when doing my Grade 8 Musicianship exam!). Going beyond exams, it could really help teachers wanting to diversify and those wishing to feel confident playing without the score, extemporising or even composing. 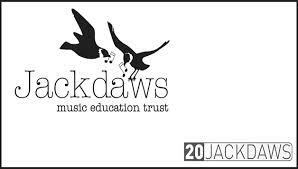 I’ve written about Jackdaws Music Education Trust’s renowned courses before here on my monthly recommendations. This coming year (2015/6) features many piano expert teachers, each offering a weekend piano course with a plethora of workshop sessions. Set in Somerset (UK) in beautiful surroundings, you can study, meet liked-minded people and enjoy excellent home cooked food. I’m honoured to be amongst this year’s tutors and my course takes place from 23rd – 25th October 2015. It includes eight workshop sessions and all meals. However, you can also choose to study with a whole array of fabulous teachers including Graham Fitch, Philip Fowke, Margaret Fingerhut, Julian Jacobson, Timothy Barratt, Mark Tanner, and Elena Riu.